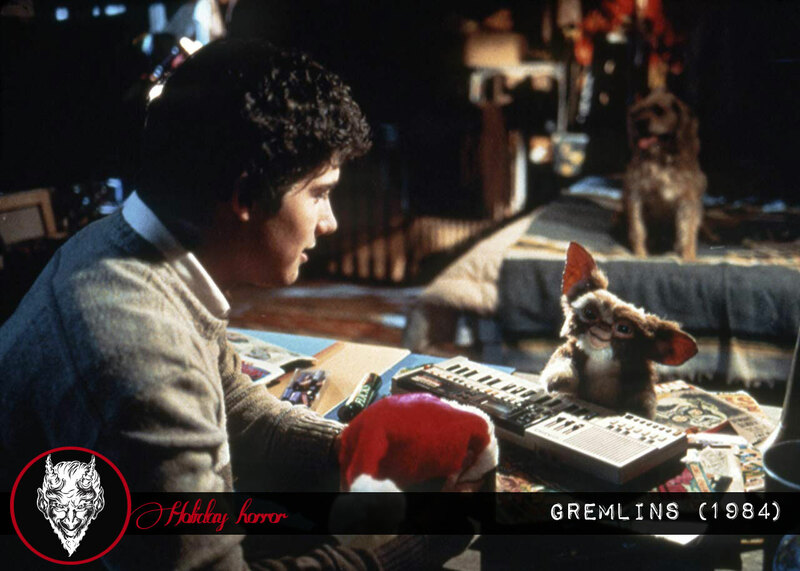 A timeless holiday classic, “Gremlins” is a film that perfectly captures the essence of the season while giving horror fans plenty to be jolly about. 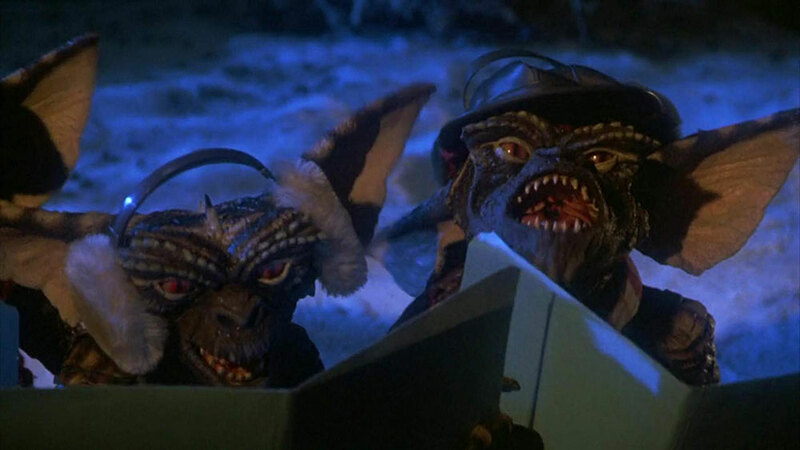 Is Gremlins a Christmas or a horror movie? It’s an often debated question. The movie opens up shortly before Christmas. Its setting is the snow covered homey town of Kingston Falls (the same town used in Back to the Future as Hill Valley). Throughout the movie, the viewer sees and hears various Christmas references like decorations, songs, movies, cookies, carolers and some popular toys. Gremlins even attempts teach some moral lessons. 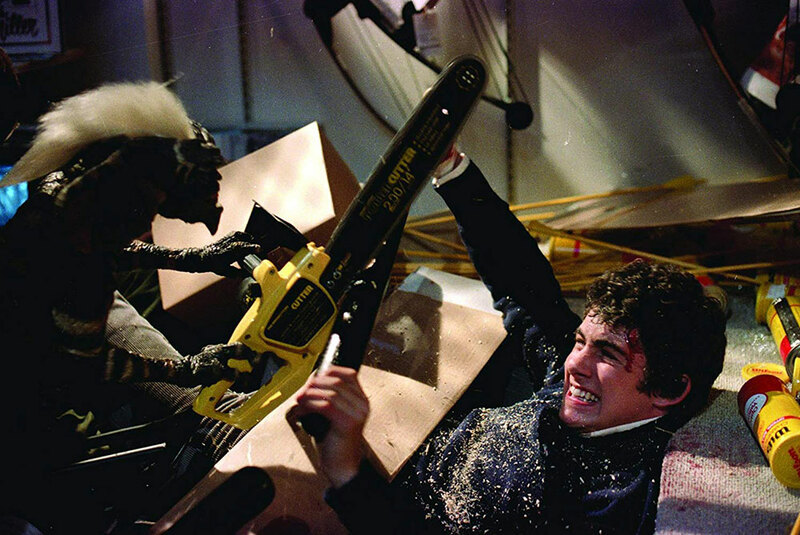 In conclusion, I would argue that Gremlins is a Christmas movie filled with horror. Right before Christmas, Randall Peltzer, an unsuccessful inventor, attempts to purchase the perfect gift for his son Billy. He ends up bringing home a mogwai. The creature is named Gizmo. Billy is tickled by this strange and unique gift from Chinatown. When the movie opens up, the town is shown as snowy and decorated for Christmas. The viewer even gets to see a young Corey Feldman (as Pete Fountaine) working down at place where people can cut down Christmas trees. As it proceeds, the mother Lynn is shown decorating gingerbread cookies while watching the movie It’s a Wonderful Life from 1946. In the background of some of the scenes, the Christmas songs “Silent Night” and “Do You Hear What I Hear” are used. Carolers are used to sing one of these songs. Stockings hanging on the fireplace are actually filled with chestnuts. Throughout the movie, toys that were popular at the time where shown like ET, Barbie, skateboards, and robots. The thing that really drove home Gremlins as a Christmas movie was not just the gift giving but also the life lessons. The first lesson was learned by Mrs. Deacon. Being greedy sometimes creates a karma — in other words, eventually, we all get what’s coming to us. The second lesson is that there are sometimes reasons why people do not want to share things. Billy finds this out when he pushes Kate for the reason she does not like Christmas. One really should not ask unless they are prepared for the answer they might get. The final and most important lesson is how important it is to take great responsibilities — like caring for a child, pet, or in this case a mogwai — seriously. Not everyone is cut out for that level of responsibility, and there are severe consequences for taking such responsibility lightly. 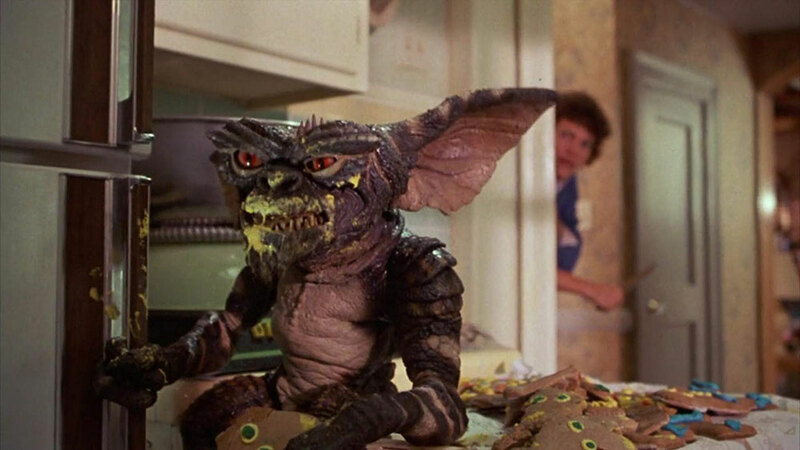 At first, it didn’t sound that hard to take care of Gizmo — just follow three simple rules: Don’t expose him to sunlight, don’t let him get wet, and never ever feed him after midnight. Failure to follow two of these rules caused chaos in Kingston Falls. Because Billy allowed Pete to mess around in his room, Pete ended up knocking over some water on Gizmo. These leads to the creation of five other mogwai. To demonstrate the remarkable reproduction process, Billy puts a drop of water on Gizmo, in front of his former science teacher, which produces one more mogwai. Then Billy’s former science teacher, Mr. Roy Hanson got careless by leaving food too close to the cage. This resulted in one mogwai being fed after midnight. 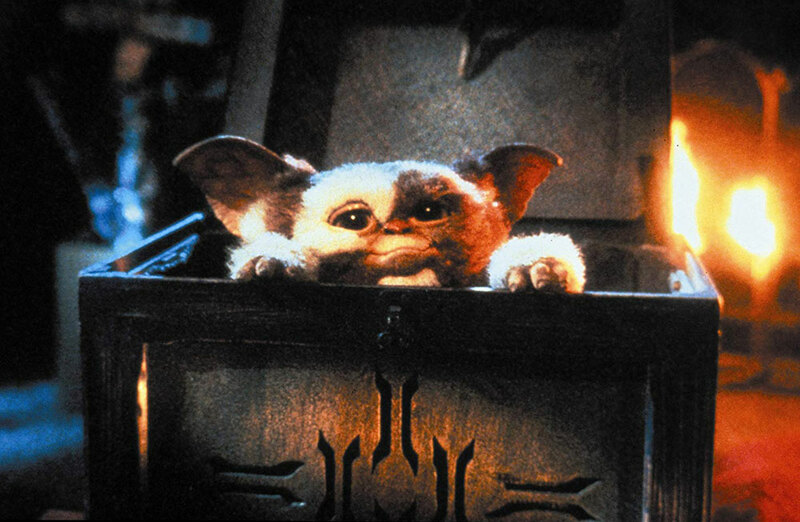 Manipulation and eating the end of the alarm clock by the five, non-Gizmo mogwai led to them becoming gremlins. 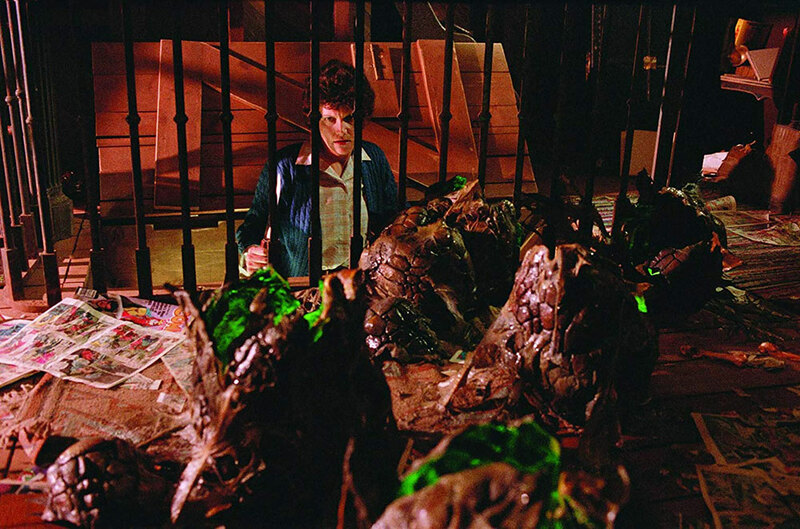 Once the creatures became gremlins, they were relentless in their hunger and desire to cause havoc. 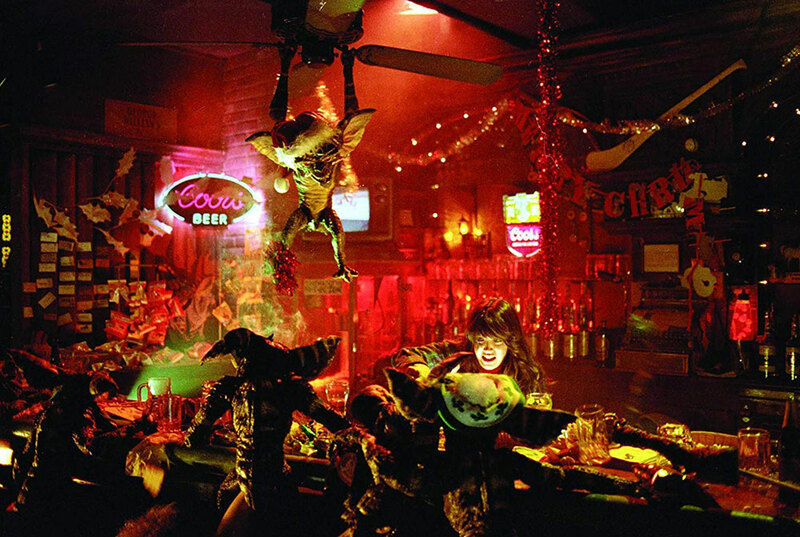 Once we’re introduced to the gremlins, the elements of horror become apparent. They end up killing Mr. Roy Hanson, Mr. Futterman, Mrs. Futterman, Mrs. Deagle, Deputy Brent, Sheriff Frank, Rockin’ Ricky, Mr. Anderson, Dave Mars (Santa), and a truck driver. That would leave the Gremlins with a minimum body count of 10. Although, if you are a fan of part two, you find out — SPOILER ALERT — the Futtermans end up surviving. It is also assumed by the complete desolation of the town that more people end up perishing. But the humans were not the only group to suffer casualties. From the original six gremlins, four are eliminated. One is blended, one is stabbed to death, and one is microwaved by Lynn Peltzer. Another has his head chopped off by Billy, then it is tossed into the fireplace. Later in the movie, Billy kills a theater packed with all the gremlins, except Spike, as they watch Snow White. Gizmo becomes the hero at the end by exposing Spike to direct sunlight as he is attempting to reproduce in a mall fountain. The use of the movie It’s a Wonderful Life proved to be ironic. Obviously, with what happens to the town, their lives ended up being up anything but wonderful once their neighbors and friends are killed. The movie Invasion of the Body Snatchers that is being watched by Billy foreshadows what will happen when the mogwai eat after midnight. Unlike that film, where the humans become human imposters, it is the mogwai who become gremlins. Christmas songs are also used ironically throughout the movie. As the mother is trying to hunt the gremlins, the record player comes on playing “Do You Hear What I Hear” by Johnny Mathis. Later in the movie, Kate and Billy step outside to a desolate town that has been destroyed as “Silent Night” plays in the background. At one point, the spirit of Christmas is challenged. Kate reminds Billy that both depression and suicide rates increase around Christmas. Billy continues to press Kate for why she does not like Christmas. It is at this point that Kate reveals her father was killed trying to dress up like Santa and come down the chimney with a bag full of gifts before breaking his neck. The attack of gremlins on Christmas Eve night did nothing to help Kate enjoy the holiday anymore than she did before, but she does survive the night to receive a kiss from Billy. In this film, everything having to do with Christmas is horrible. 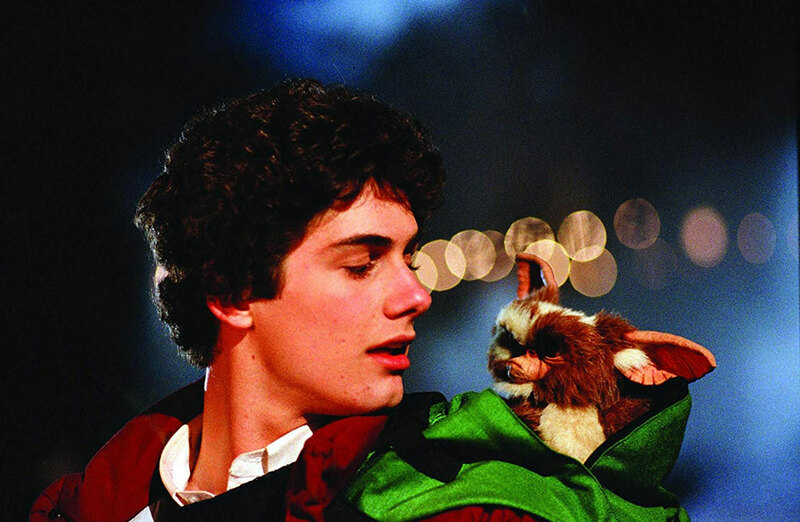 Gremlins reminds us that we must be careful for what we wish for as a gift. 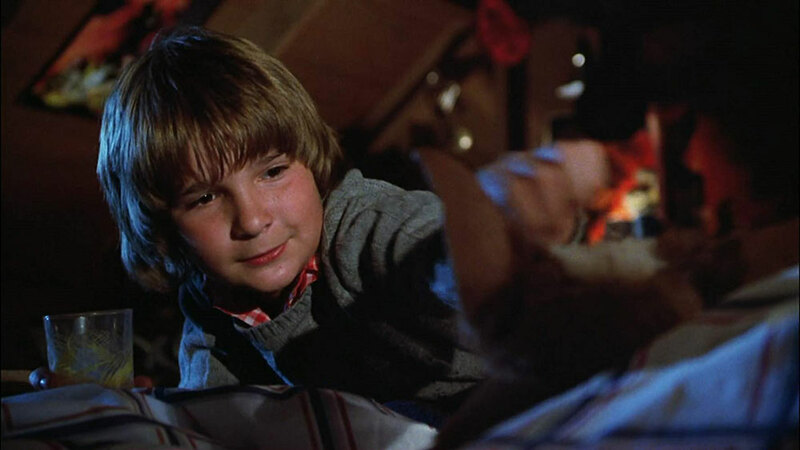 With that being said, as I kid, I would have loved receiving Gizmo as a gift. Thanks to the magic of Steven Spielberg, we can enjoy one of the top 10 Christmas movies of all time — one that happens to be a great gift for Horror fans, too.